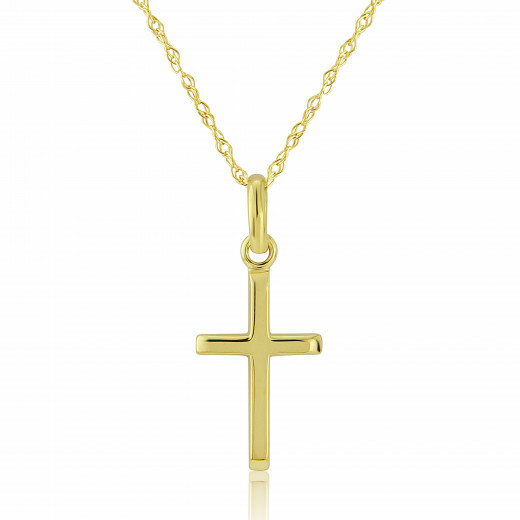 A perfectly made and proportioned small Necklace in 9ct Yellow Gold. 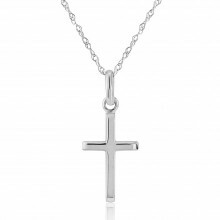 The cross Pendant has a polished finish and neat, bevelled ends. The delicate ‘Prince of Wales’ chain can be worn at 16” or 18”. A beautiful, meaningful gift perfect for birthdays, Christenings and other landmark celebrations. Presented - as with all of our jewellery - in our luxury gift packaging.